Rob Steinberg is Chairman of Steinberg Hart, which was founded as Steinberg Architects by his father in 1953. Rob is internationally recognized as an expert and design practice innovator in urban planning, hospitality, and mixed-use projects. He has been awarded numerous national and international design awards and is frequently published in industry journals and publications. As a recognized expert, Rob is a frequent lecturer and presenter at many universities and design conferences around the world. 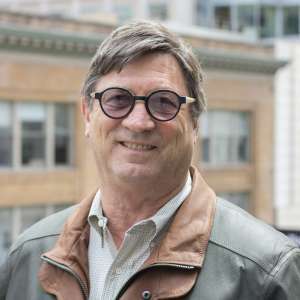 He is active in a number of academic and real estate related organizations including his role as ULI Governor, Executive Board Member of SPUR, and Policy Advisory Board Member at University of California Berkeley Fisher Center for Real Estate & Urban Economics. Rob began his professional career as a filmmaker in New York and Hollywood, garnering international awards for his documentary films.